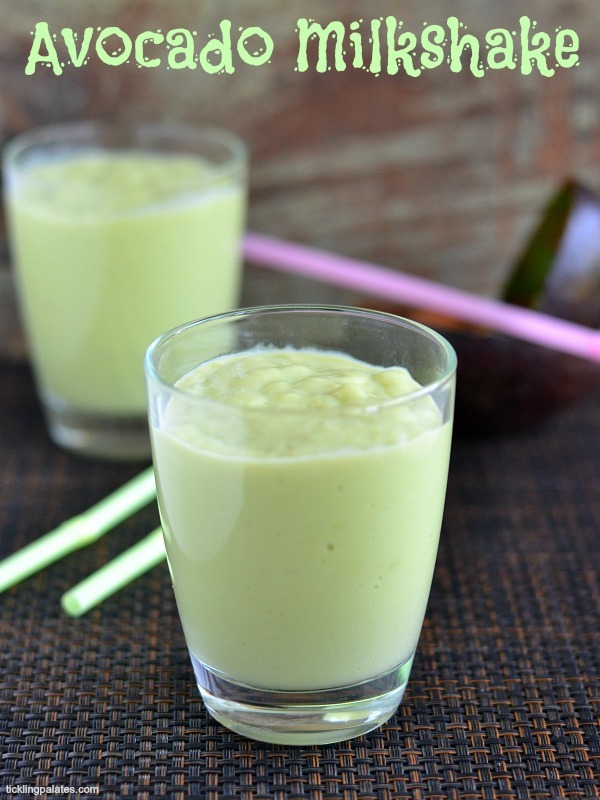 Avocado Milkshake recipe. Do you have an underweight kid at home? My little kiddo is underweight and though the Doc says that its okay to be underweight and no reason to worry your head if your kid is active, I still worry a lot after all that’s the most important job of a mother and it comes with the territory. So why am I asking you this? If you are looking for solutions to magically make your kid gain weight in a healthy way, or looking for calorie rich food that is not loaded with fats, sugars and salts, Avocado is your answer and is a blessing in disguise. An avocado has 200 calories for 100 grams. Now Isn’t that cool !! why because typically, other fruits have 60-80 calories for 100 grams (approx.,). Due to the high amount of calories, avocado is a best diet for people who want to gain weight. So this is the very reason I’ve started adding the fruit to my underweight kid’s daily diet. Instead of feeding him calorie-dense foods that may contain excess saturated fats and sugar, Avocado is a healthy option, I would say. 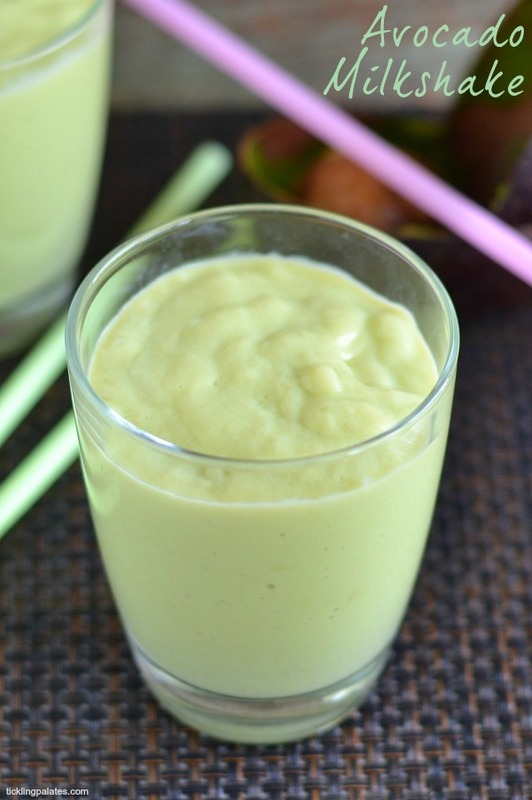 A glass of this thick Avocado Milkshake keeps you filled for hours without making you reach for a bag of chips and I do love the color of this shake. Don’t you? As a rule, I always add frozen milk to make any milkshake as the result happens to be very thick and frothy. I avoid adding ice cubes as it makes the milkshake watery which I hate. Make sure that the Avocado is very ripe yet firm and not squishy. As the fruit tastes bland, adjust the sugar according to your taste. You can also check out other healthy drink recipes like Dry Fruits Milkshake, Raab, Coconut Strawberry Banana Smoothie, Mango Oatmeal Smoothie, Oatmeal Banana Breakfast Smoothie and Chocolate Banana Milkshake. 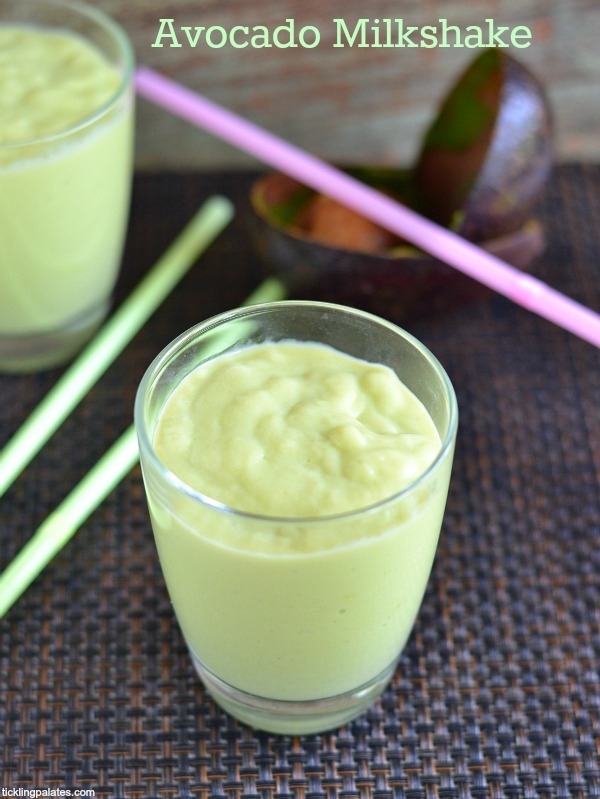 A healthy and nutritious avocado milkshake for the kids and adults. Cut the avocado into two. Remove the seed and scoop out the flesh. 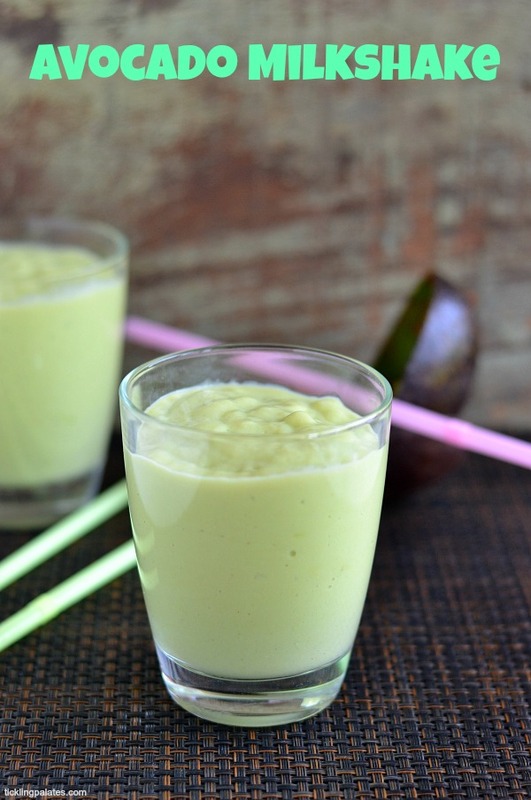 Place the scooped avocado in a blender, add sugar, milk, vanilla essence and blend till smooth. I used only one half of the avocado and it served 2 glasses. i am great fan of this milkshake.. looks delicious..